Yesterday I was invited by The lilac box to attend this event by H20+ with Shark saver Malaysia for a marine conservation program aiming to create awareness to value shark population. I also got the chance to meet up wight he brand ambassador of H2O +, Priscilla wong黃翠如 and Aric Ho . H20+ skin and body care range were develop based on the water concept of sea-science. So ocean is H20+ main source of active ingredient. They have been involved in several marine conservation initiatives worldwide and has worked with international personality Philippe Cousteau and through NGO's like EarthEcho international, world wildlife fund(WWF) and Ocean Conservancy to support the active restoration and preservation of oceans. Collaboration of H20+ with shark saver Malaysia extends the footprint of their ocean conservation efforts, They wanted to give marine conservation and education as well as fulfilling H20+ corporate vision and mission. 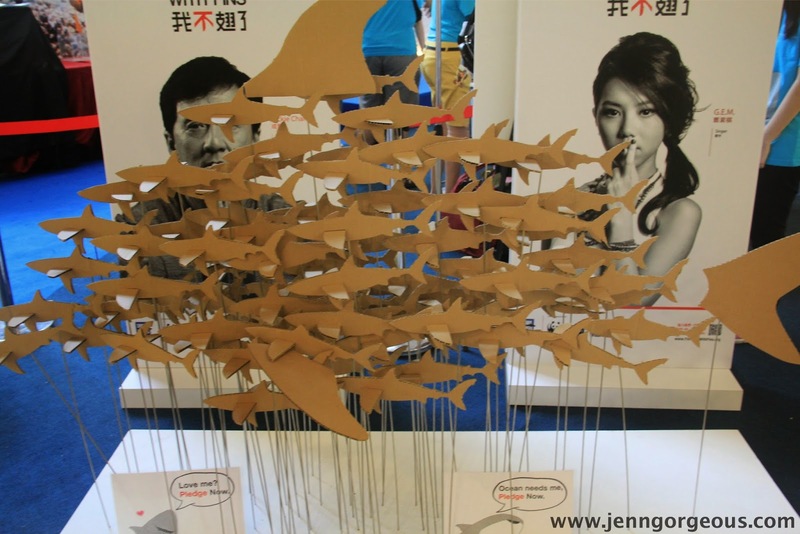 It is important for us to SAY NO TO SHARK FINS ! Shark are apex predators, crucial to sustainable balance of the marine ecosystem and to regulate the oceans. If shark population collapse, other marine species could be adversely affected. The elimination of sharks can cause disastrous effect including collapse of fisheries and the death of coral reefs. 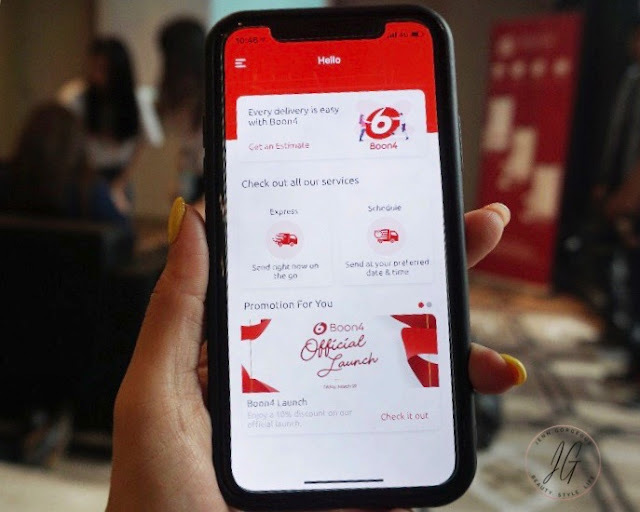 The event was held at One Utama shopping mall. 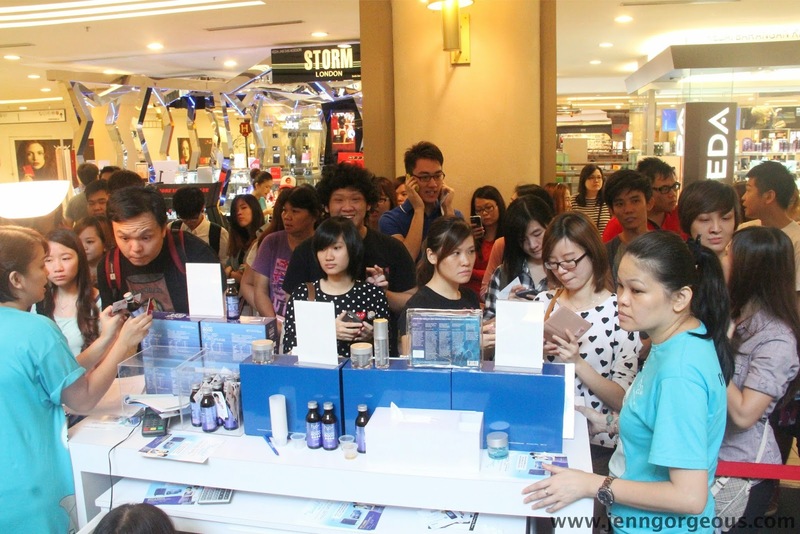 Everyone is waiting for Priscilla Wong and Aric Ho for meet and greet sessions. 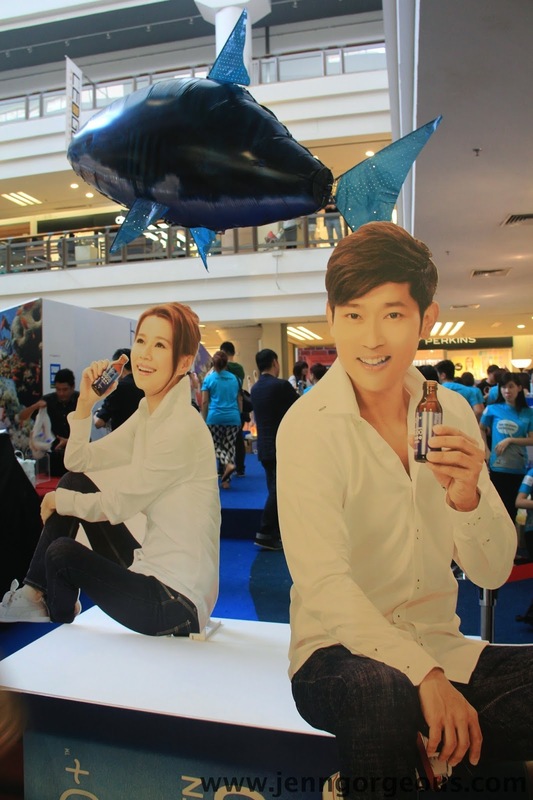 If you purchase H20+ product Above Rm200 , you can get a photo session with Priscilla Wong and Aric Ho. Registration booth for media and customer that eligible for photo session. Finally Priscilla Wong and Aric Ho ready to say Hi to all their Malaysian Fans ! They are wearing cute T-shirt for the awareness of Saving the Sharks. They go on stage and everybody screaming ! She is so pretty , and he is so handsome ! Q&A session for all guests and freebies giving out to lucky fans. Sharing their experience with the brand & beauty tips. Priscilla wong and Aric Ho favourite product is the Face Oasis Hydrating Treatment. The product give their skin result like drinking 8 glasses of water, give hydration to her skin. She said that she has been using H20+ product since she was still in her secondary school, and that time she never thought that she is gonna be the ambassador of H20+. Her breakfast always going to to be the collagen drink first in the morning , it contains of 8000mg of collagen that can be renew her skin and give that firmer supple skin. Aric Ho also loves the collagen drink because he said it really give him energy boost after taking collagen drink. 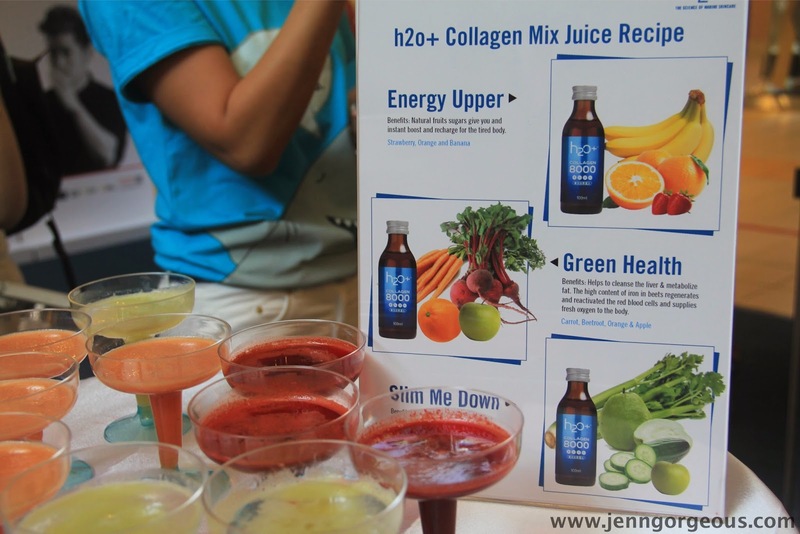 If you are bored with just drinking H20+ alone, you can try these recipes. Ingrdients: strawberry, orange, banana, and h20+ collagen. Benefits: Natural fruits sugars give you instant boost and recharge your tired body. Benefits: Helps to cleanse the liver & metabolise fat. The high content of iron in beets regenerates and reactive the red blood cells and supplies fresh oxygen to the body. They also send a message to everyone,hoping that we together save the ocean and save the sharks. Say No to Shark Fins, I remember Priscilla said you can have so many other choices of soup nothing special about shark fins soup. They hope that everyone stop eating shark fins soup for the sake of our ocean. Malaysian Fans got the chance to take selfie with them. We get a tshirt and also Rm100 goodies from H20+. I also got the chance to meet both ambassador at Red box sunway pyramid for up close personal play games and sharing session. I will write a blog not that day in the next blogpost. Let's together SAY NO TO SHARK FINS. SAVE THE OCEAN. SAVE THE SHARKS. Hope to see you again Priscilla wong and Aric Ho.